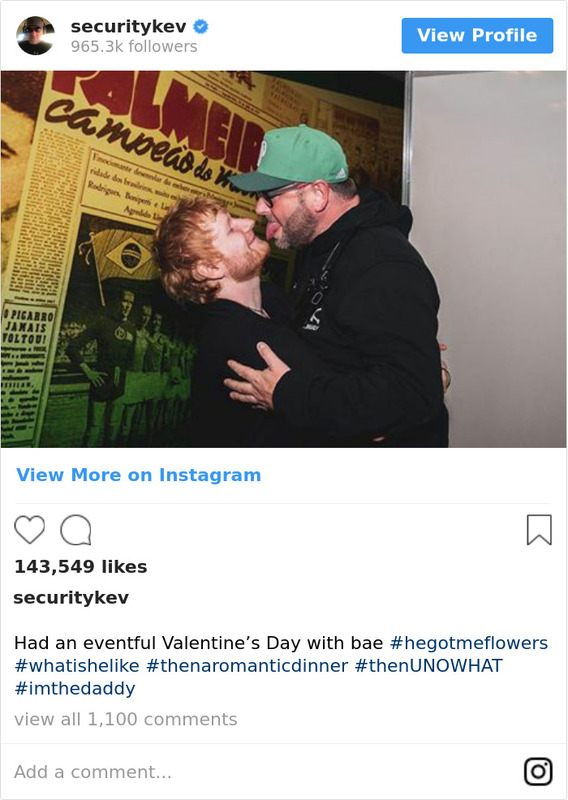 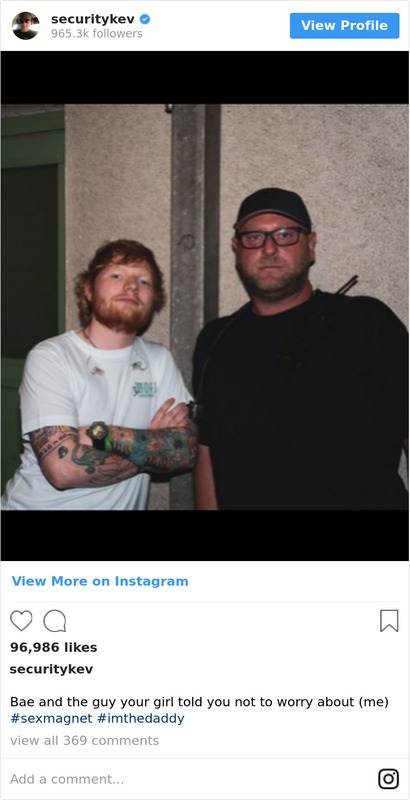 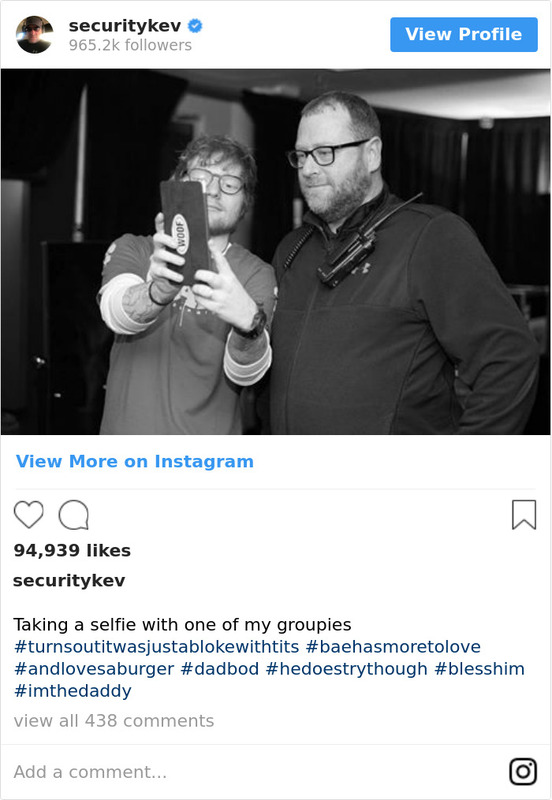 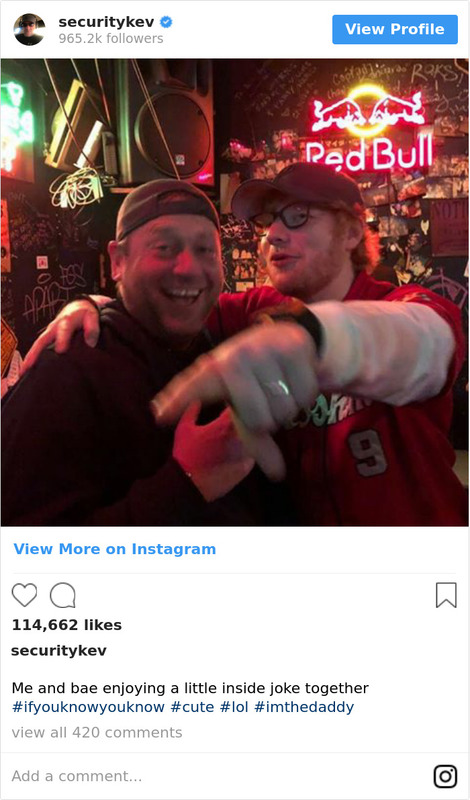 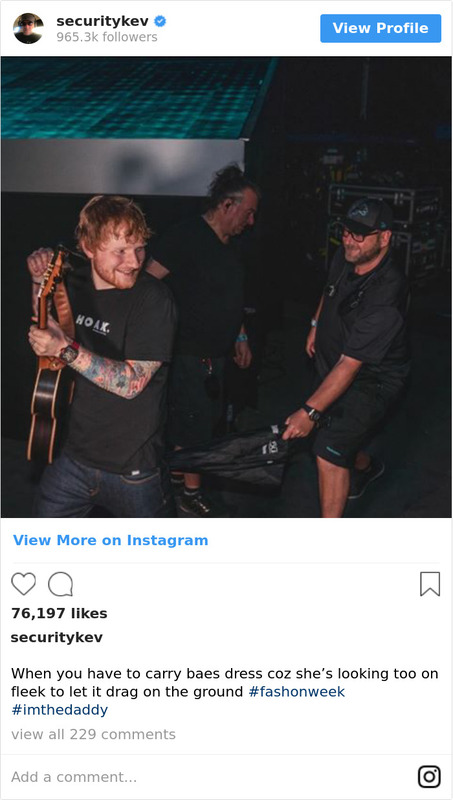 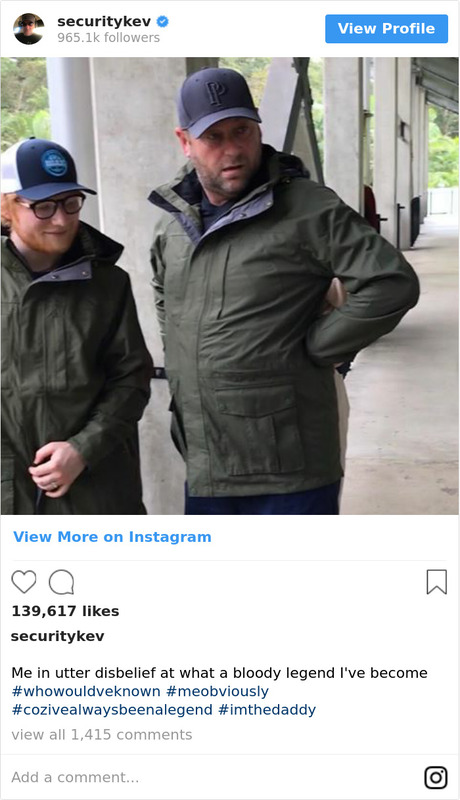 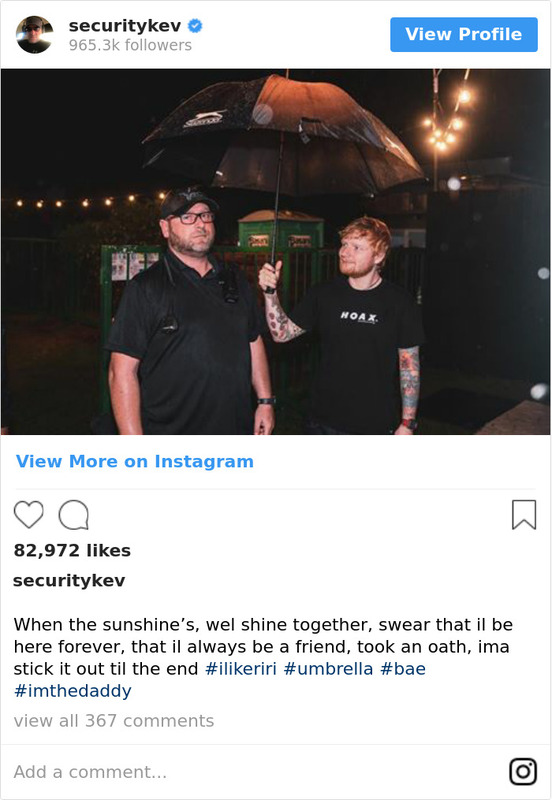 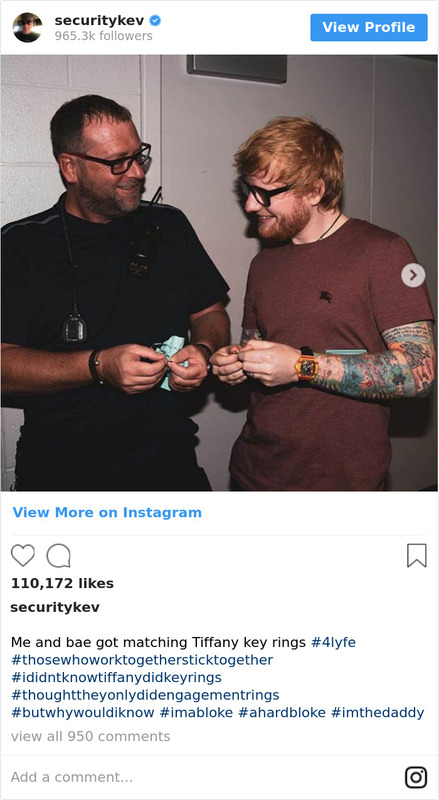 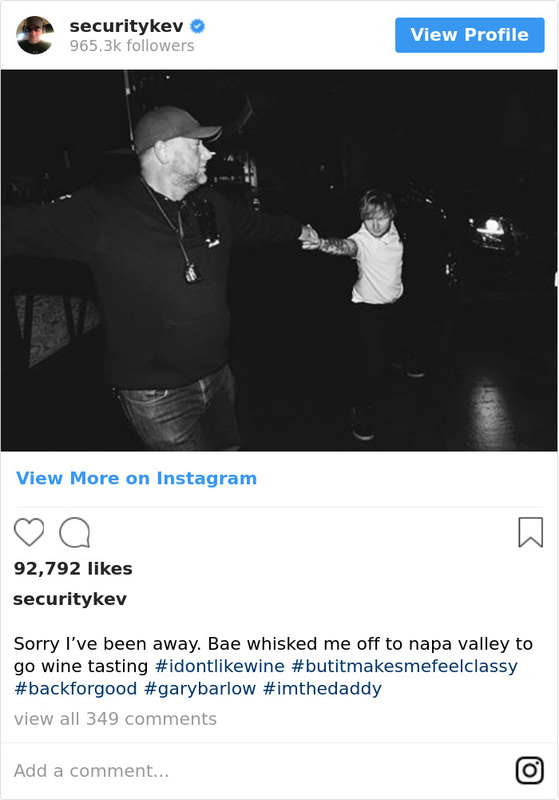 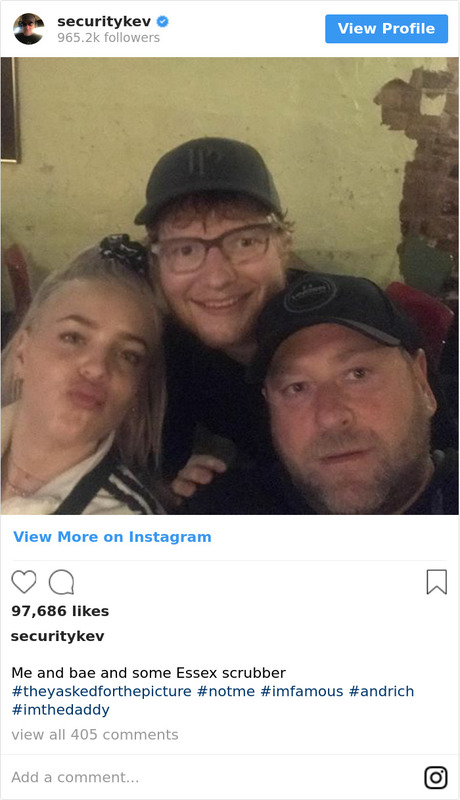 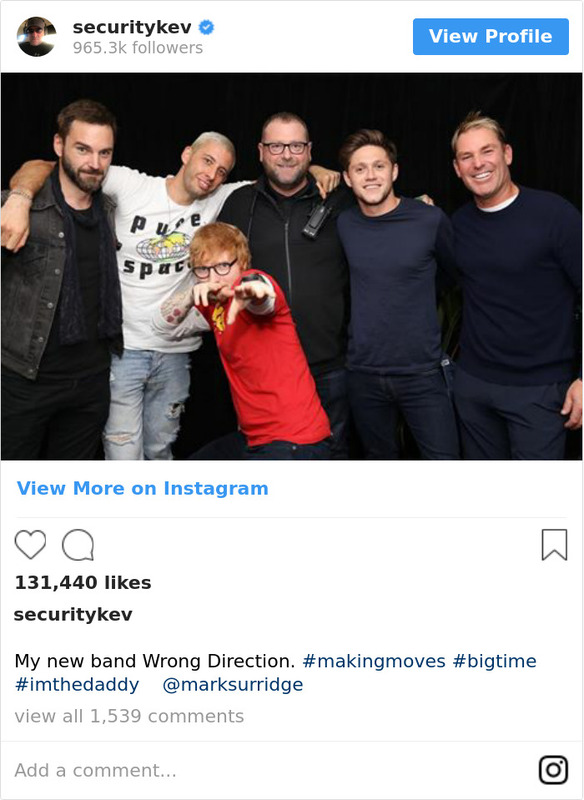 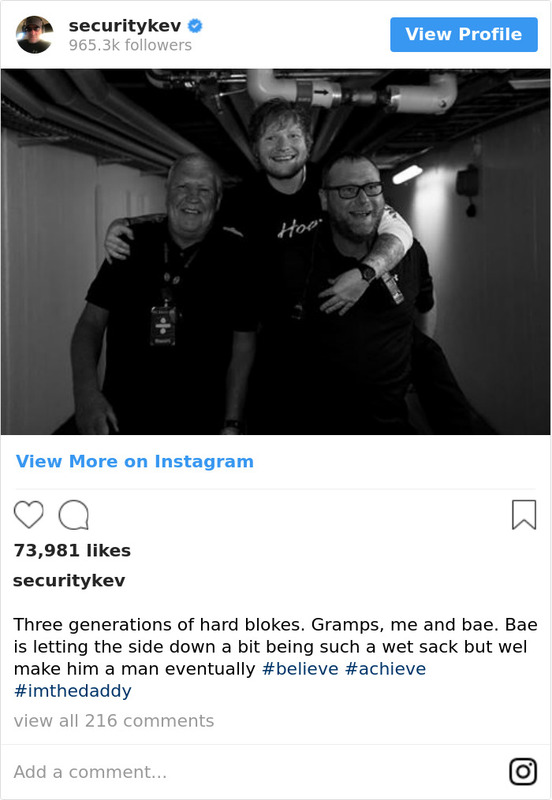 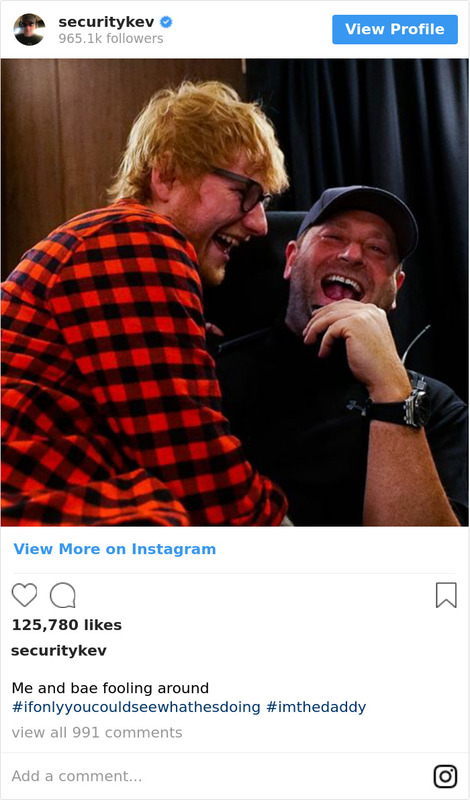 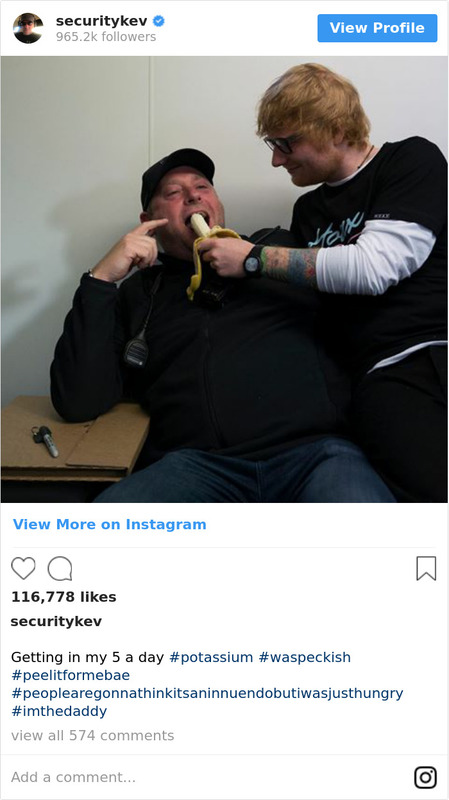 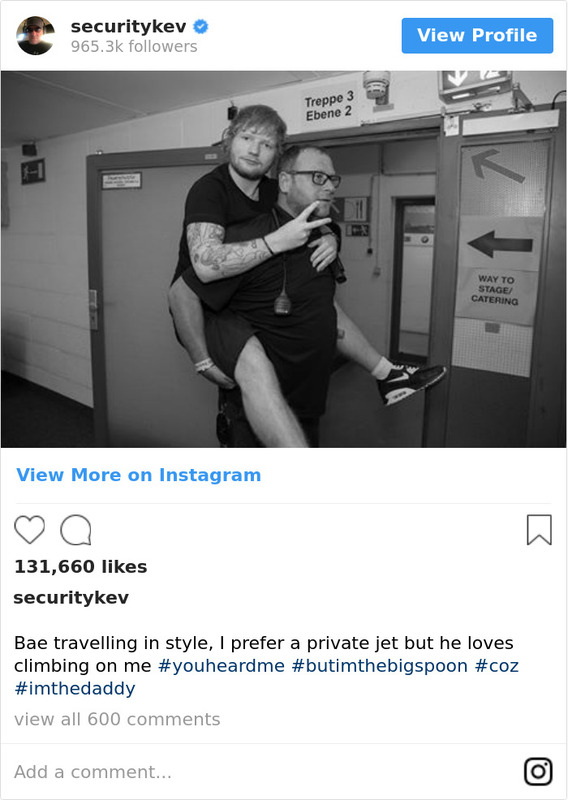 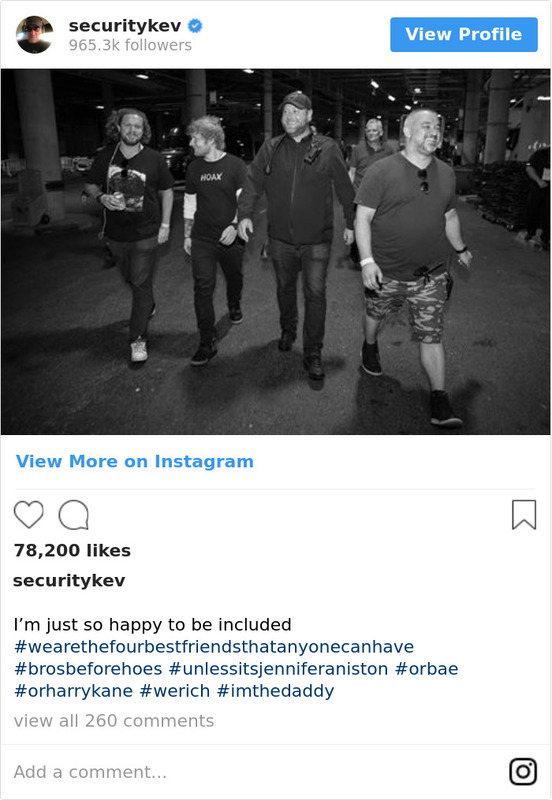 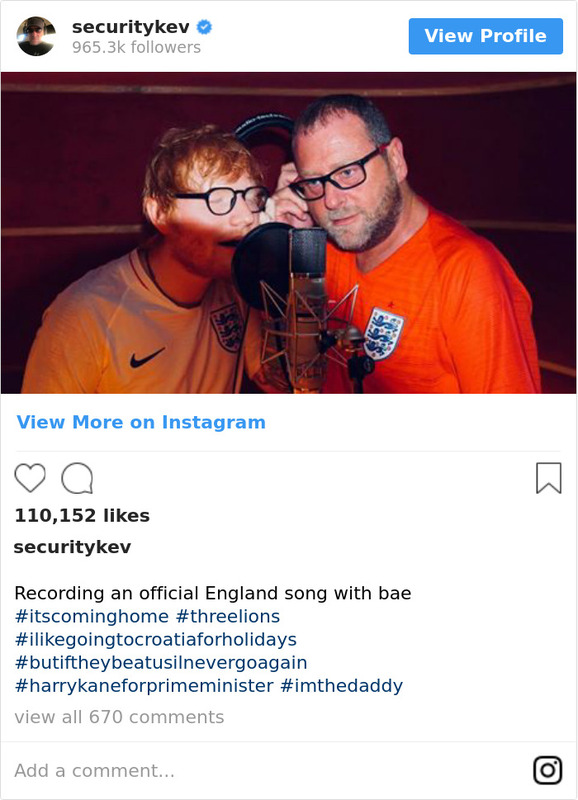 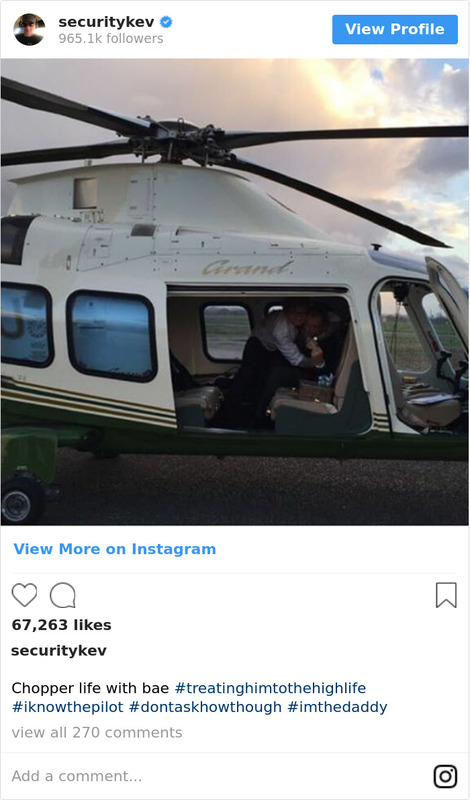 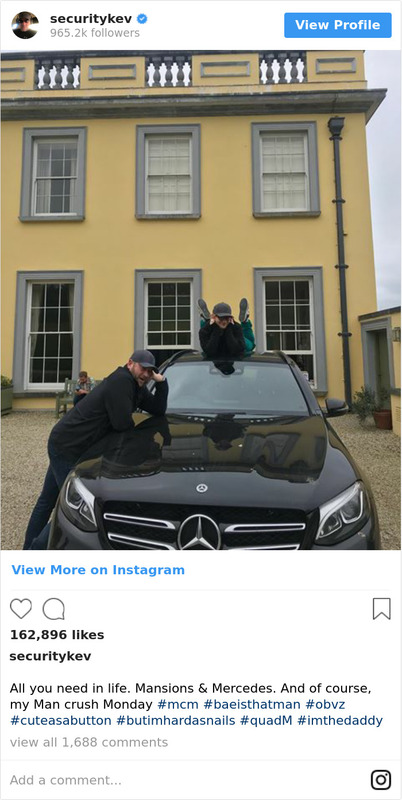 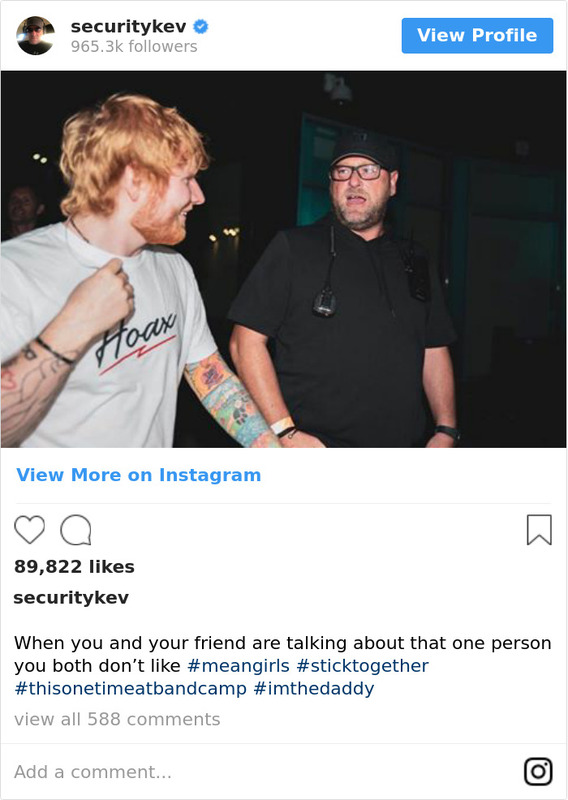 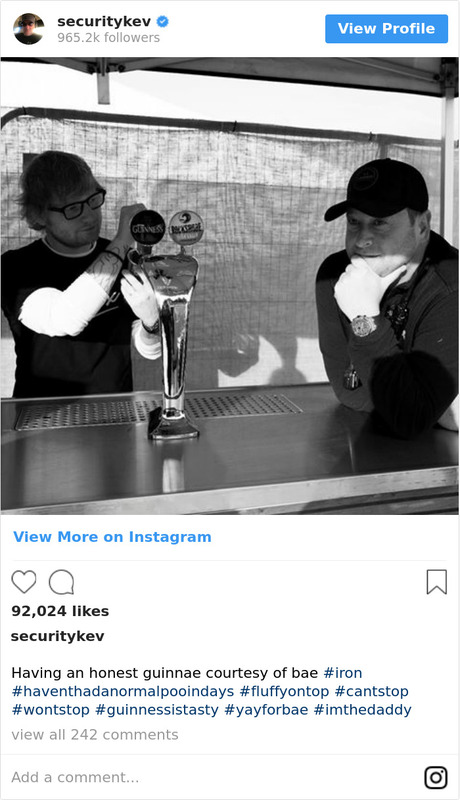 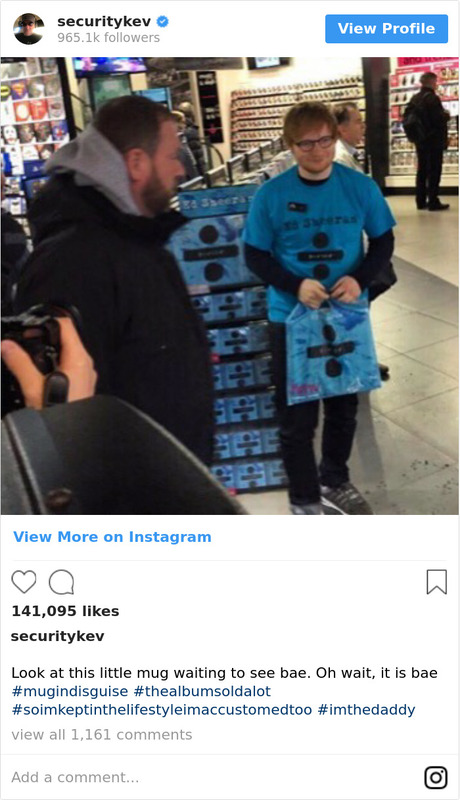 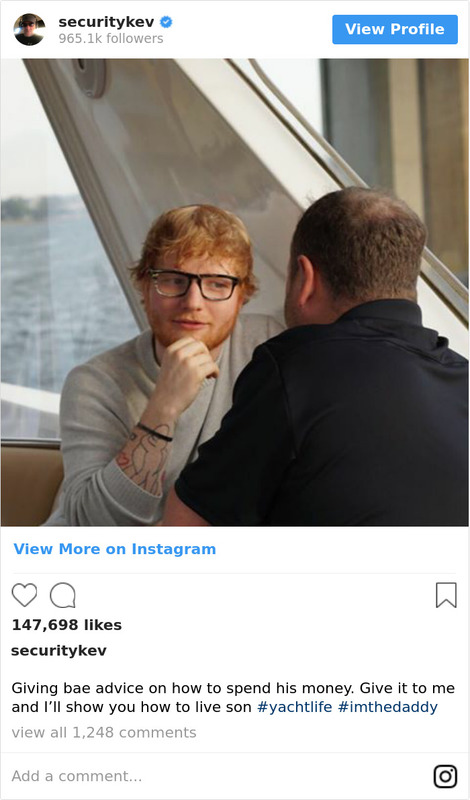 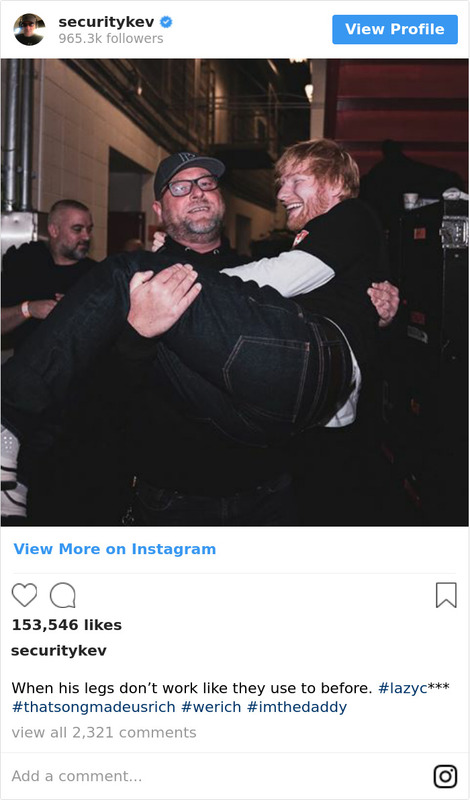 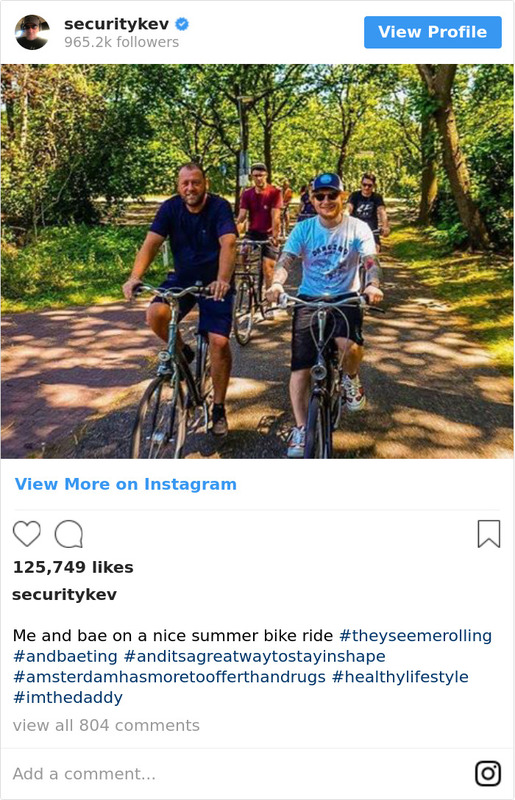 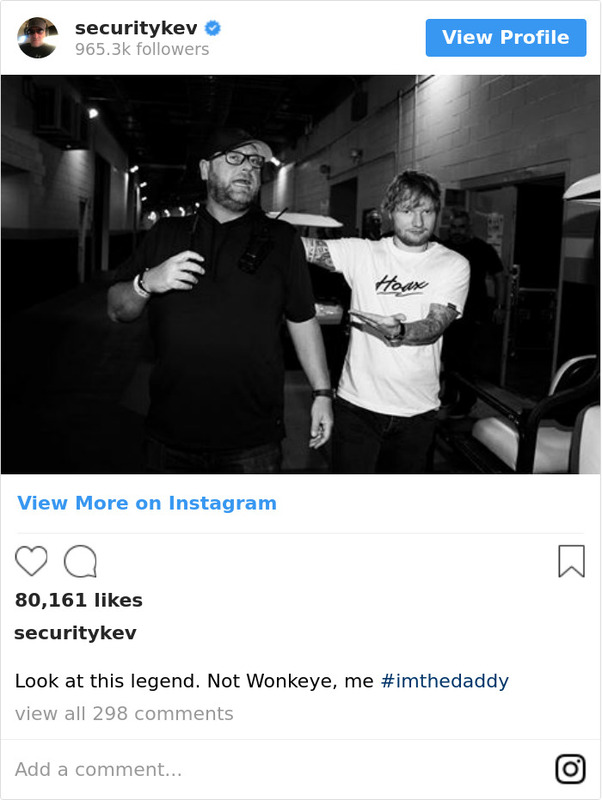 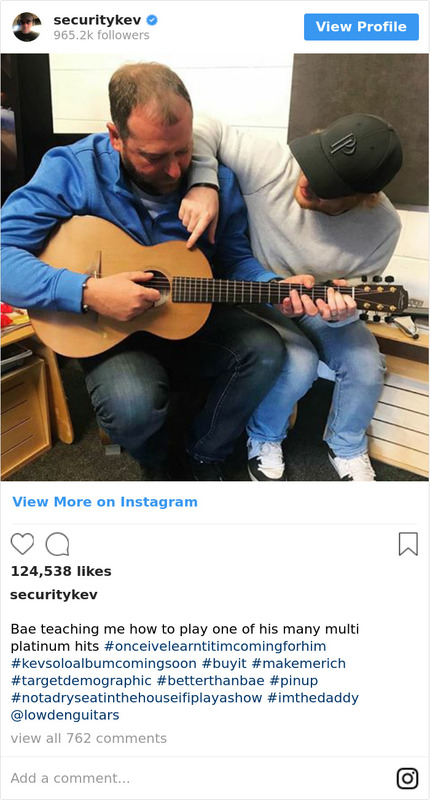 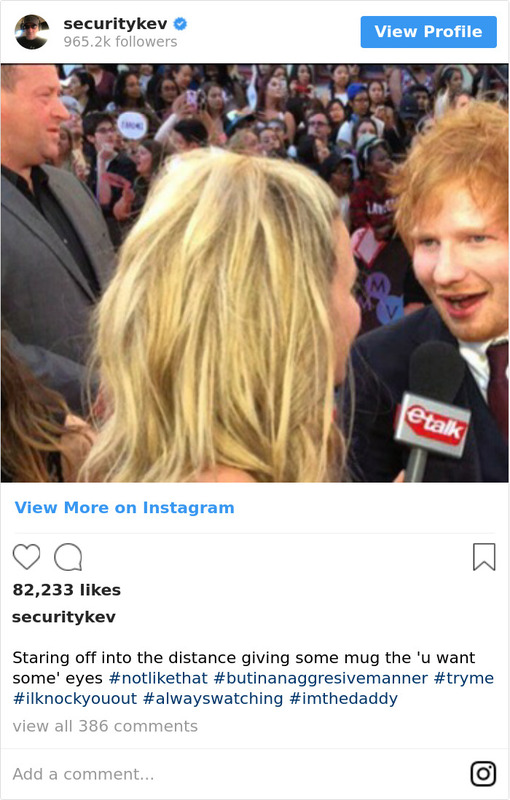 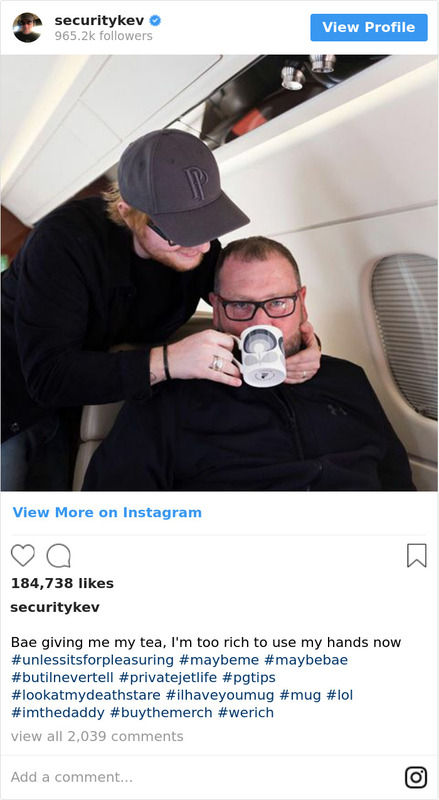 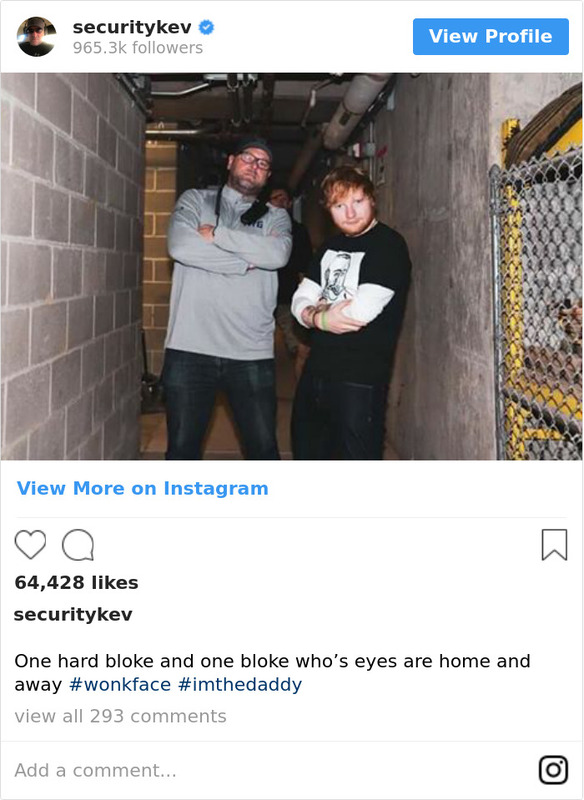 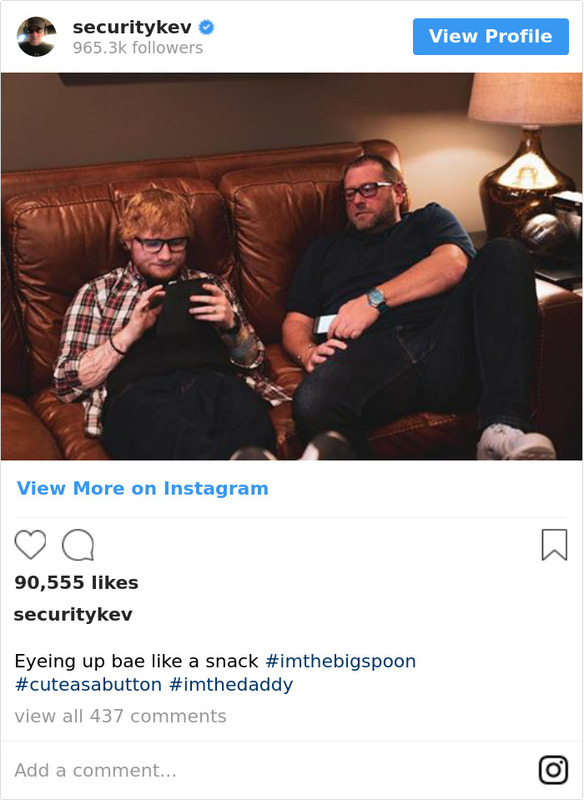 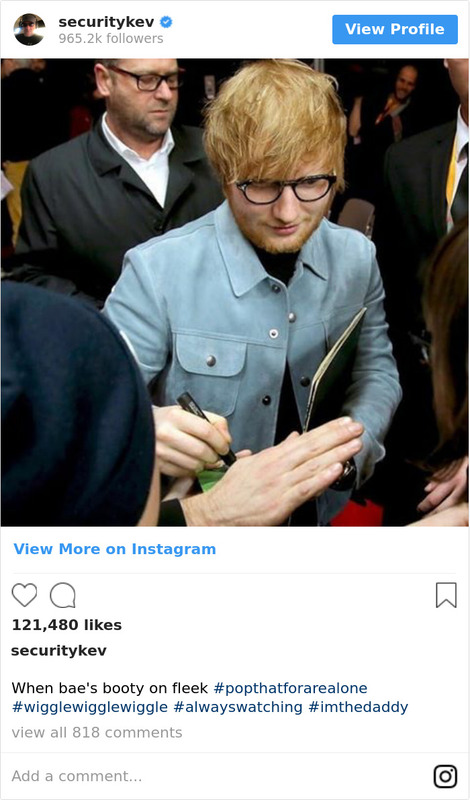 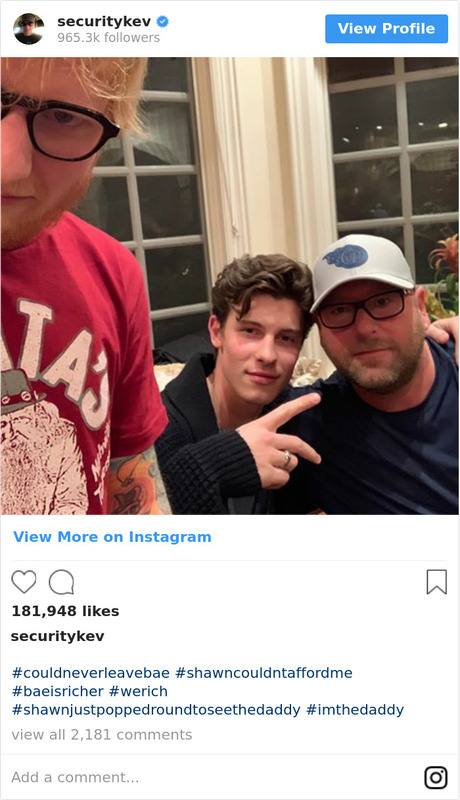 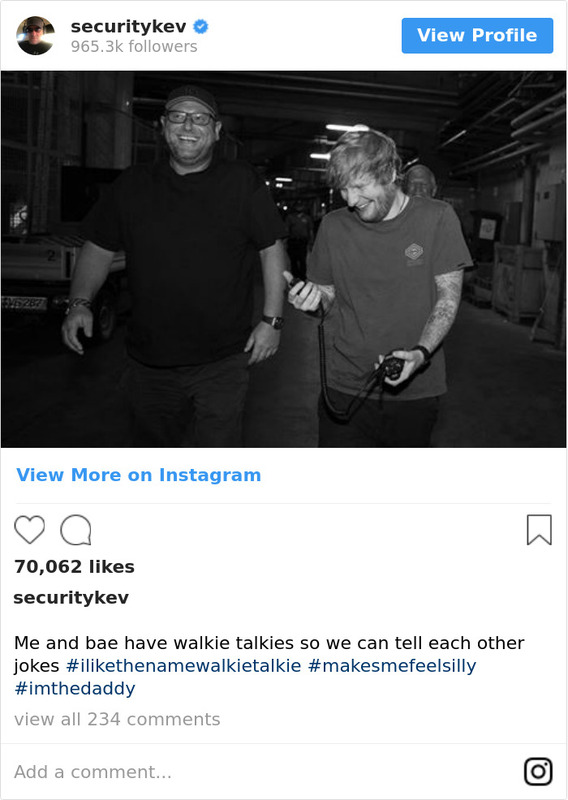 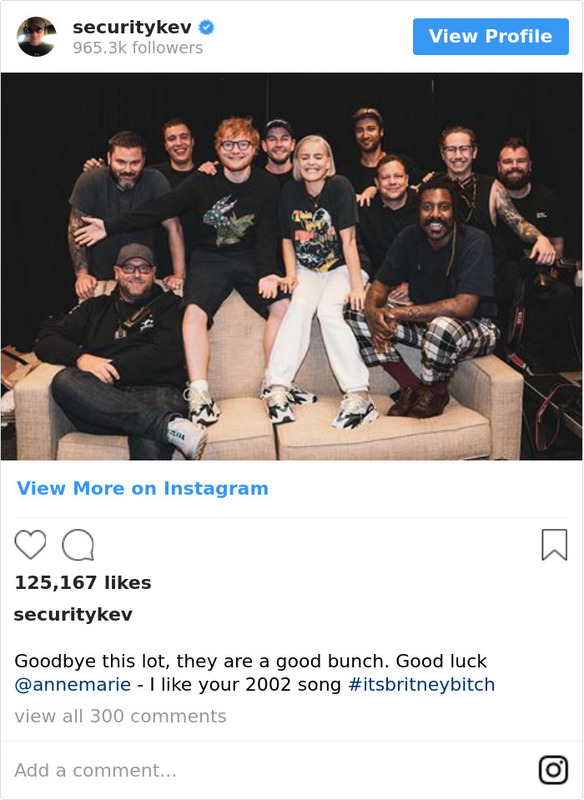 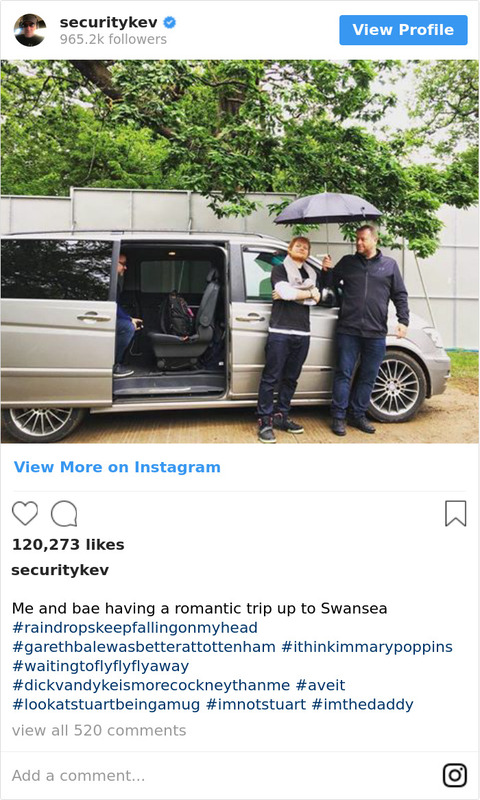 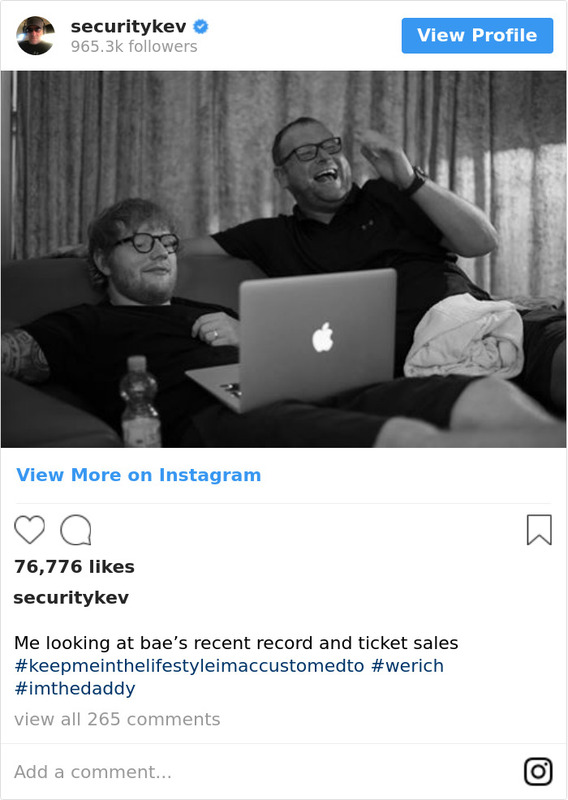 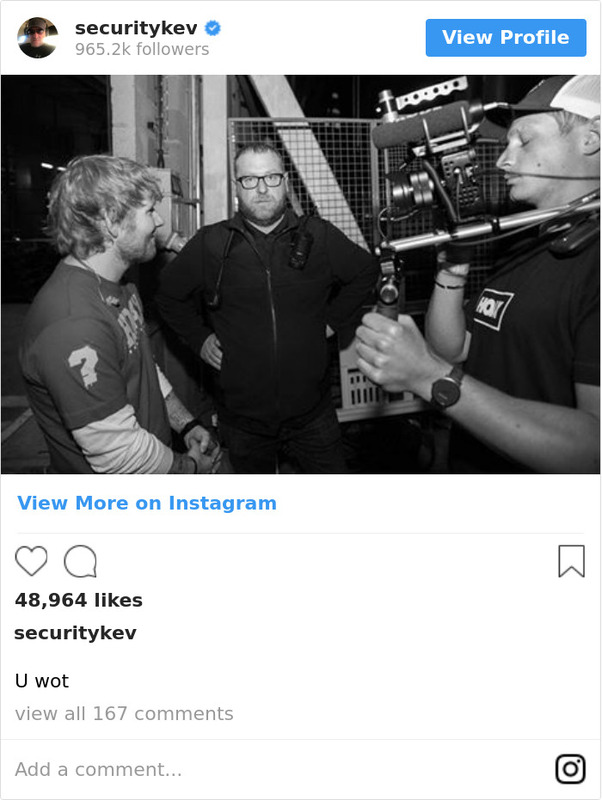 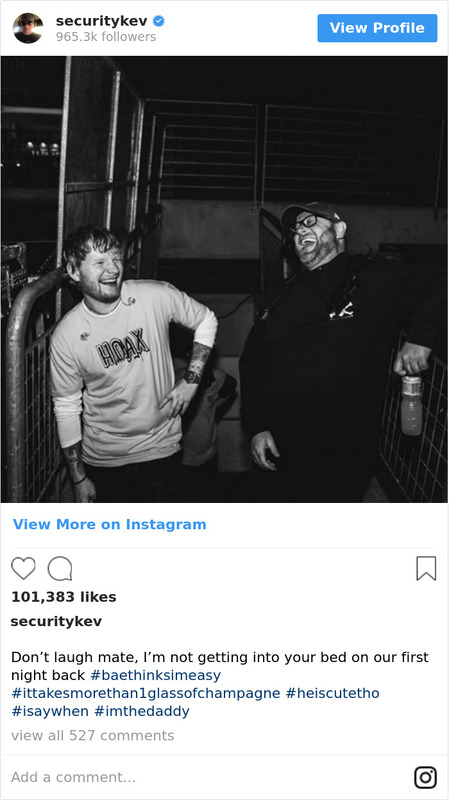 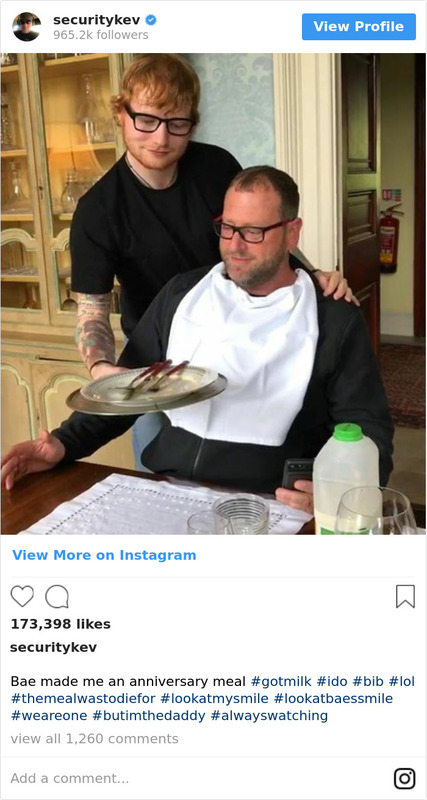 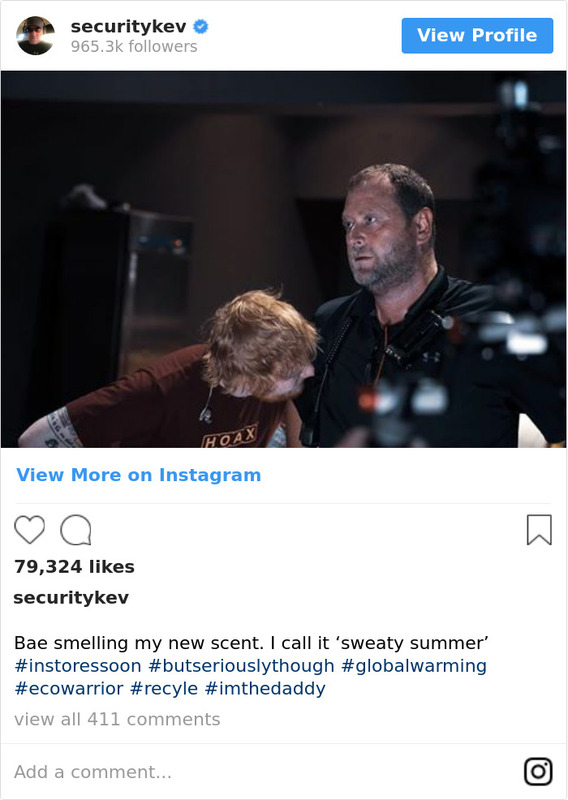 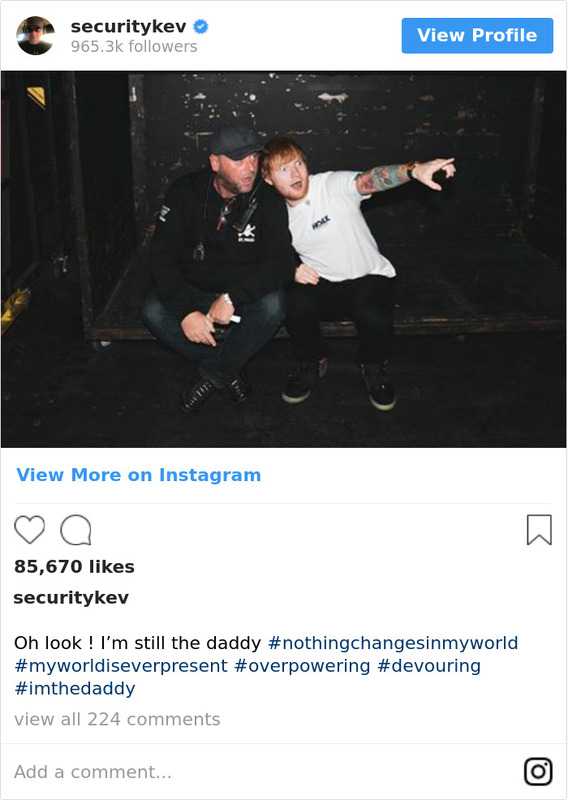 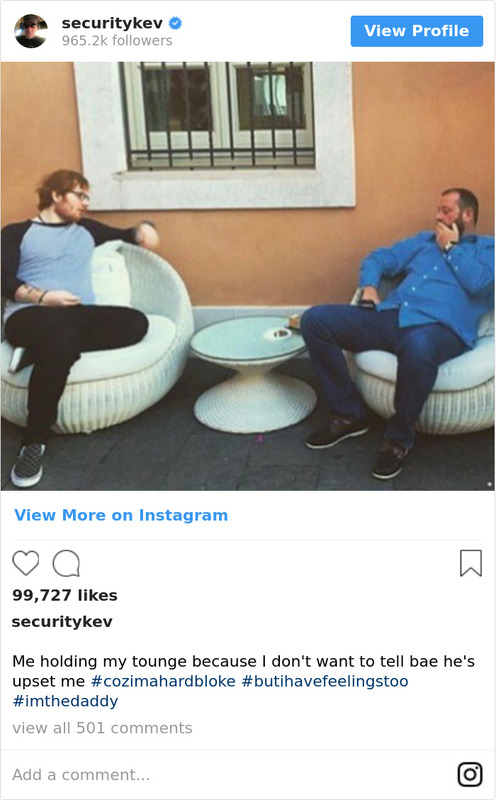 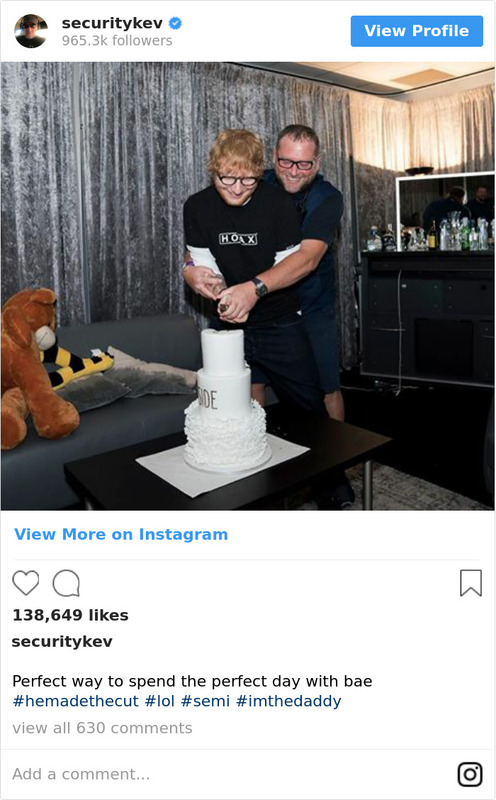 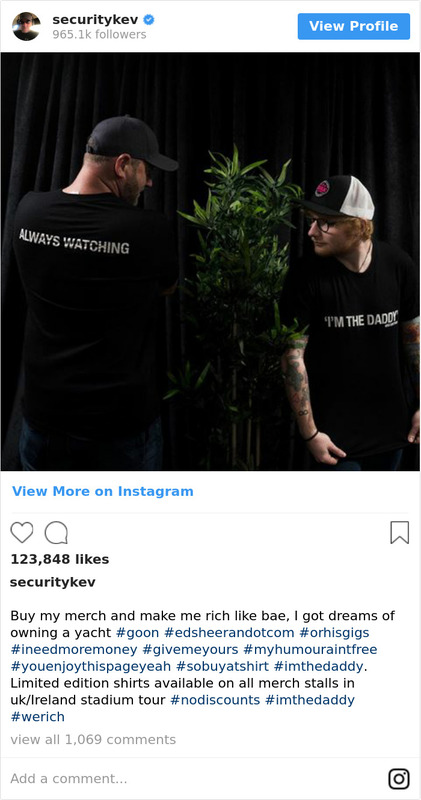 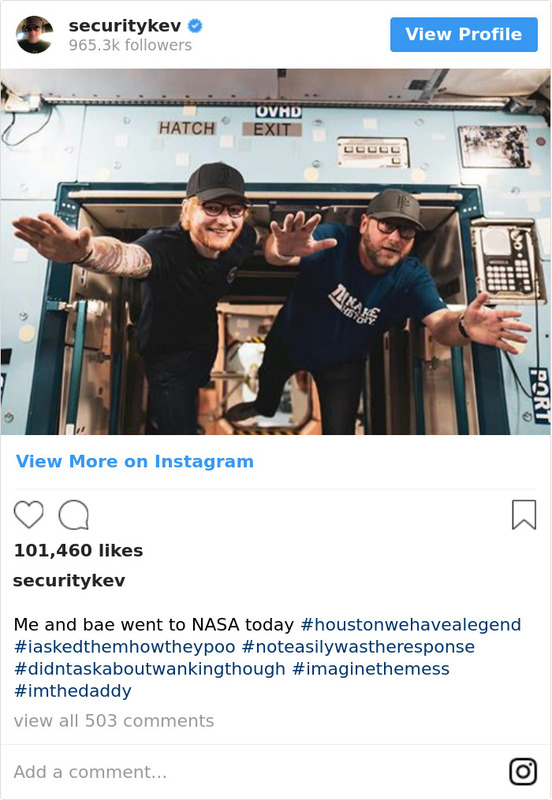 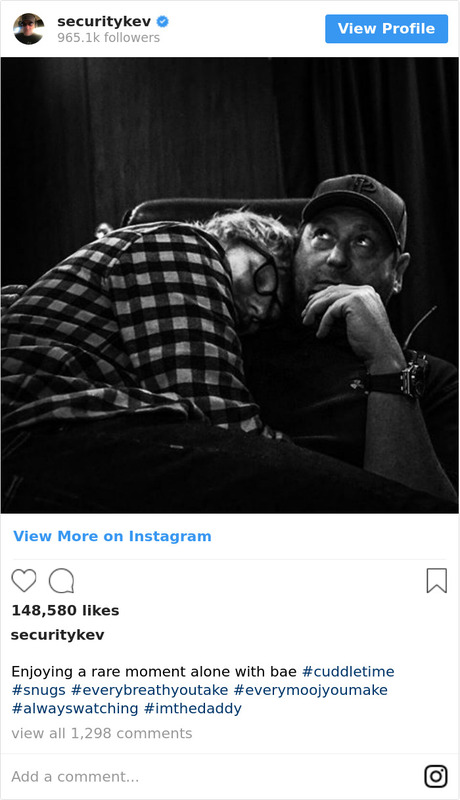 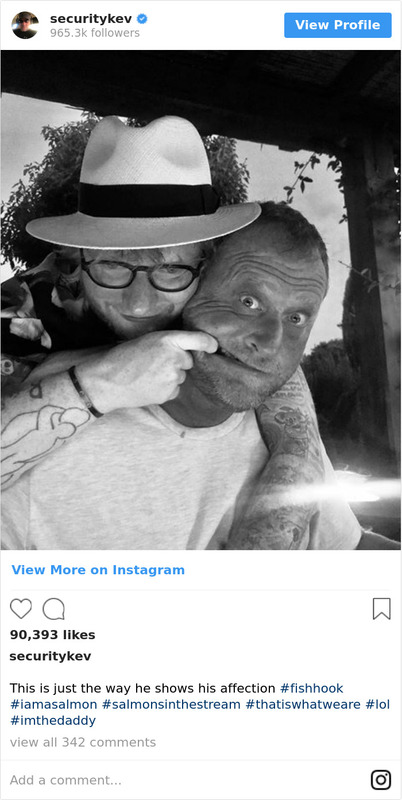 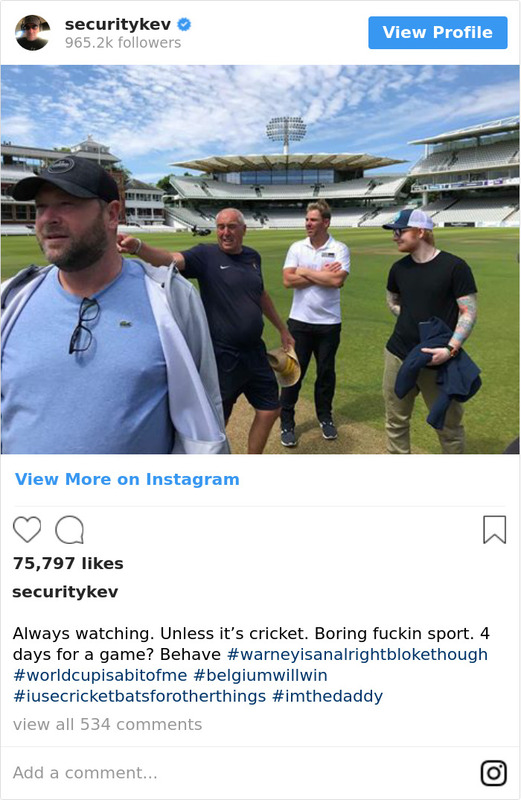 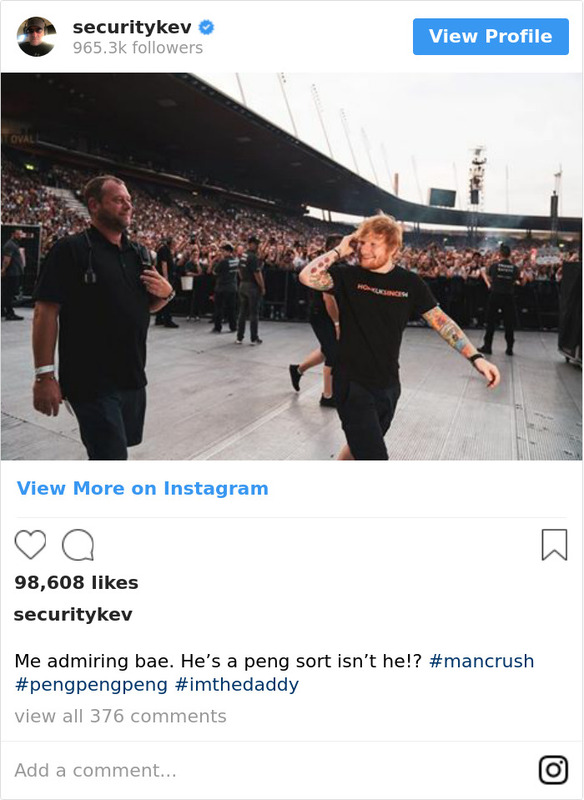 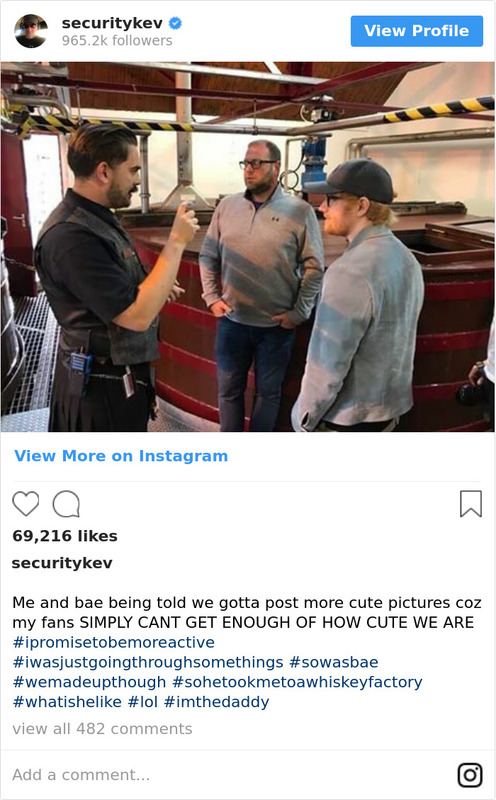 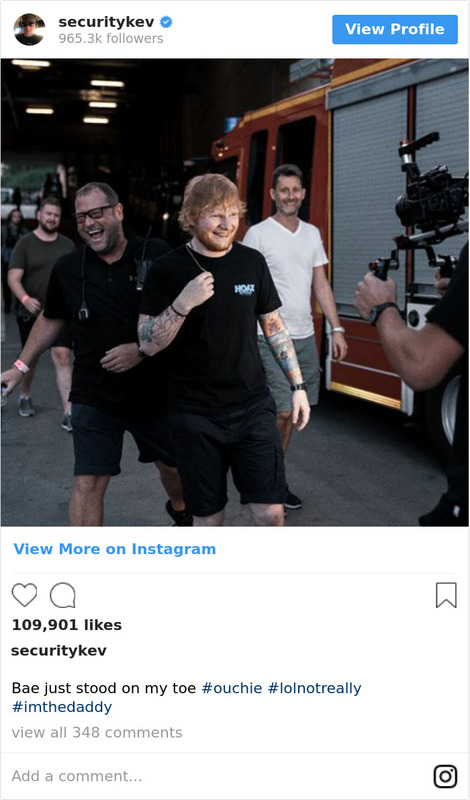 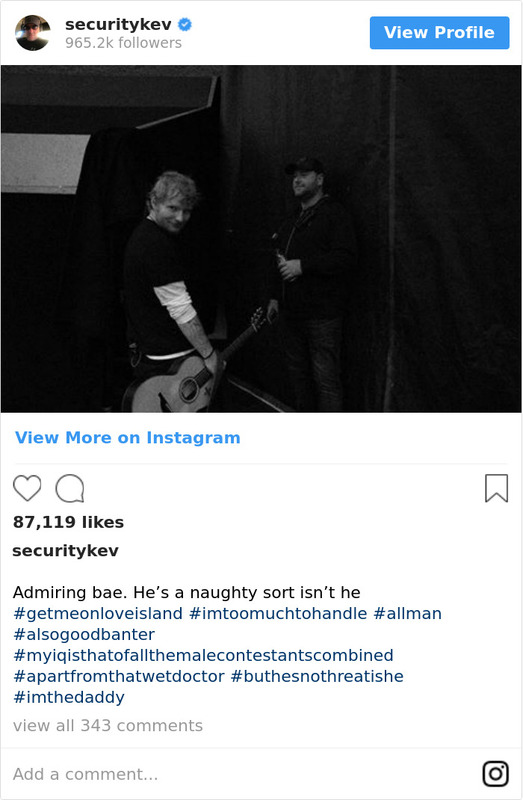 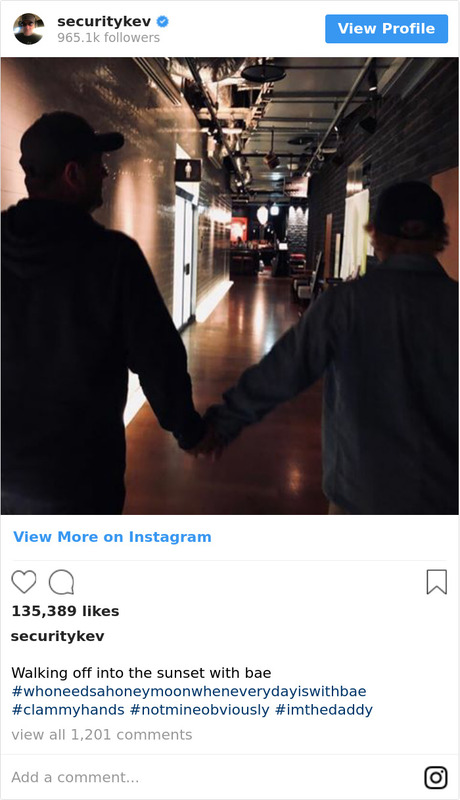 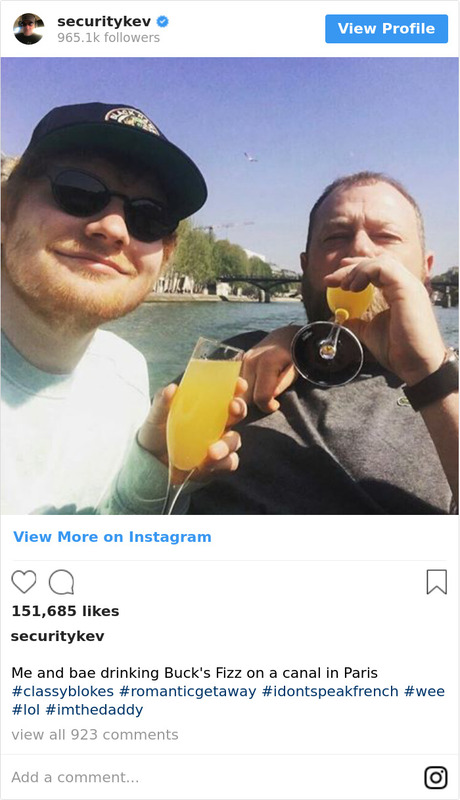 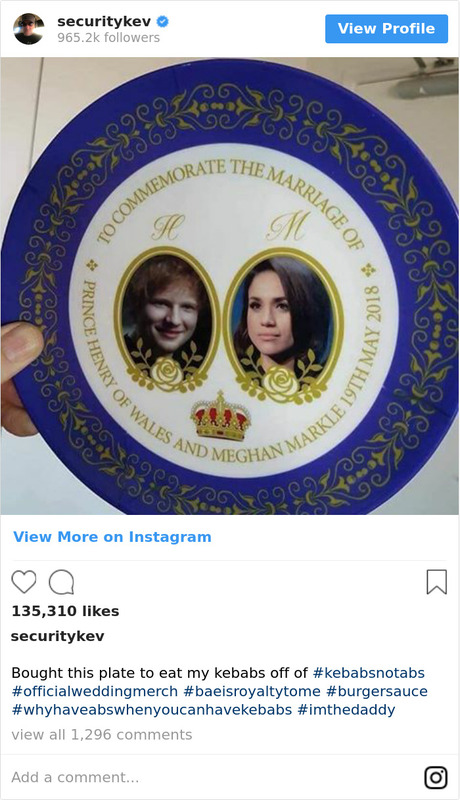 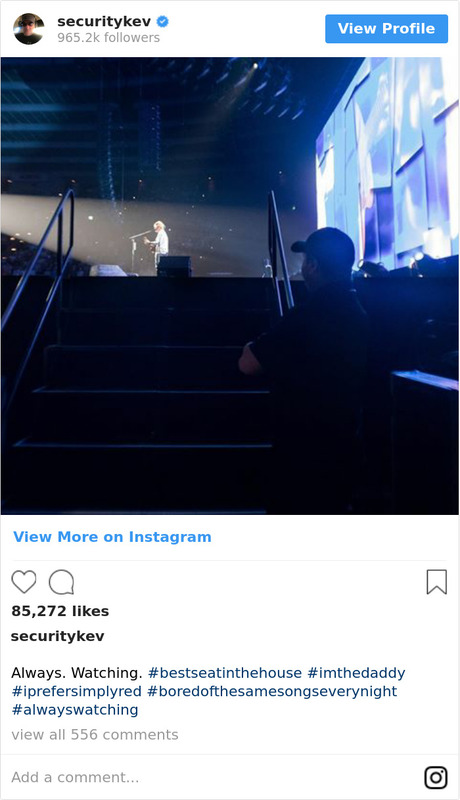 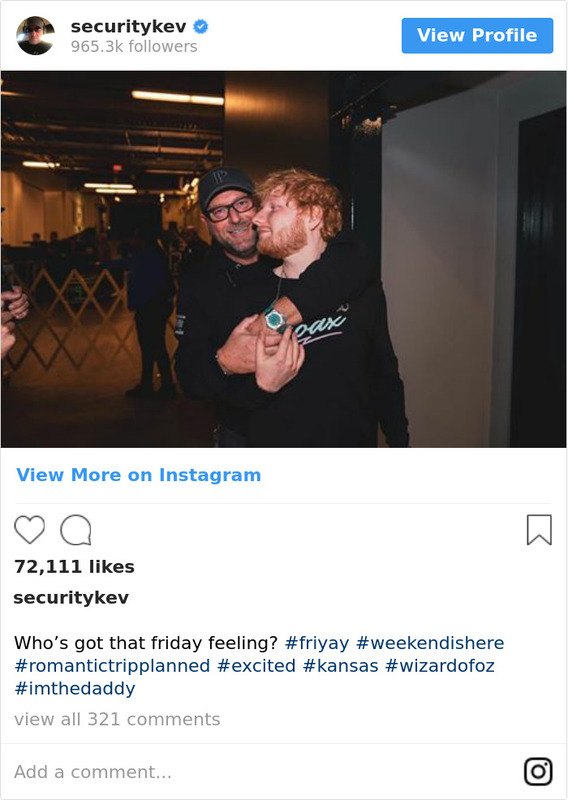 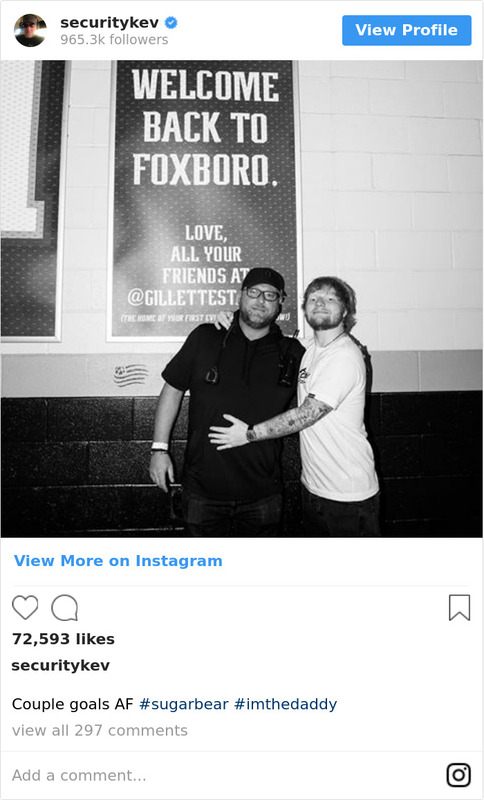 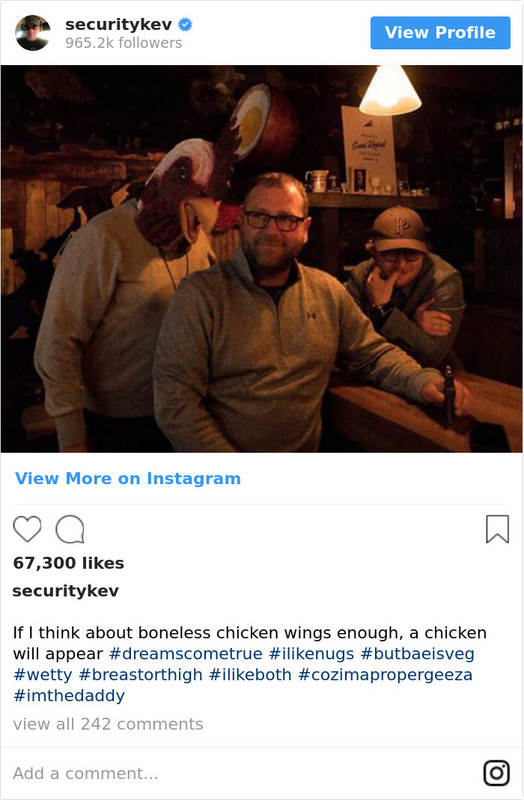 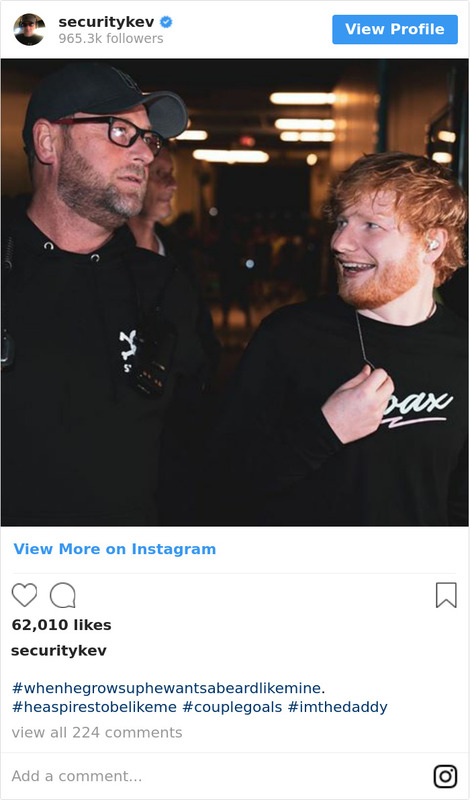 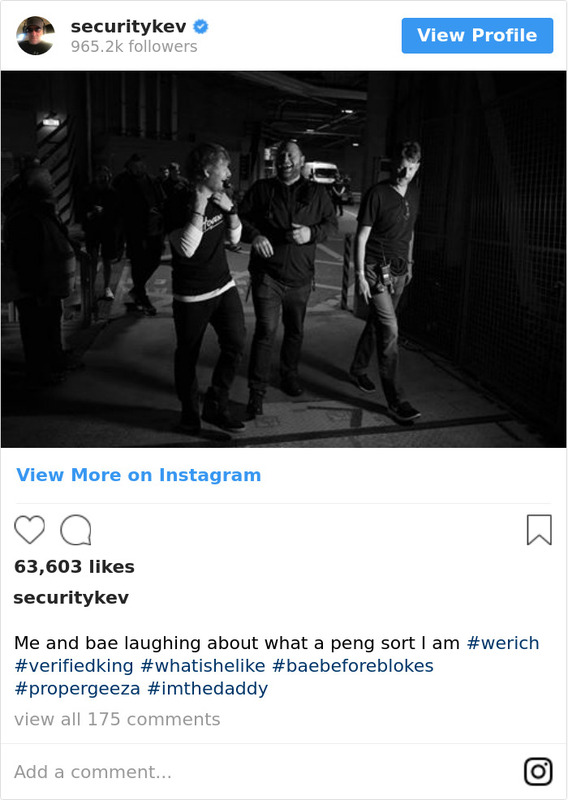 Ed Sheeran is on a mission to make his security guard Insta-famous and they’re doing a pretty good job. 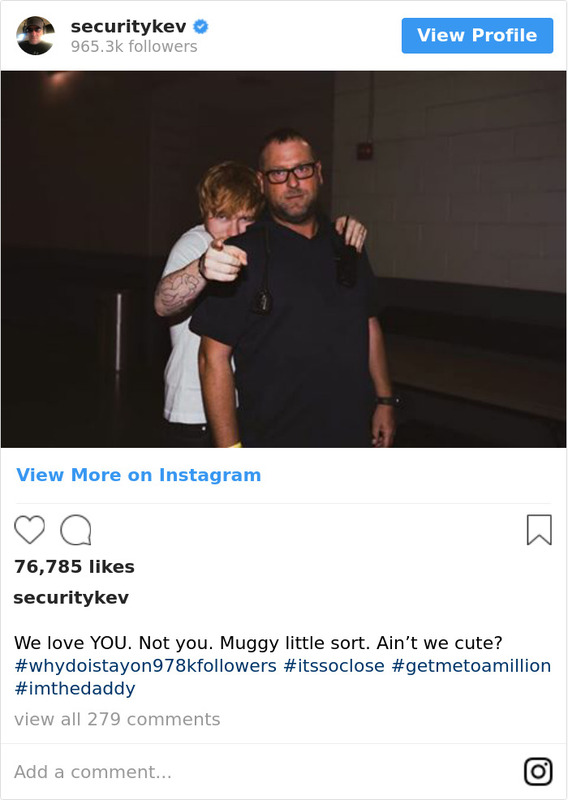 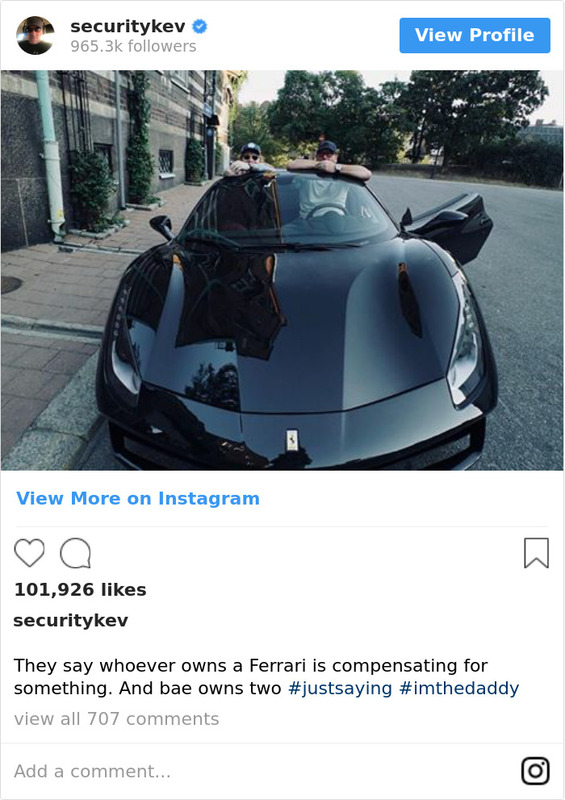 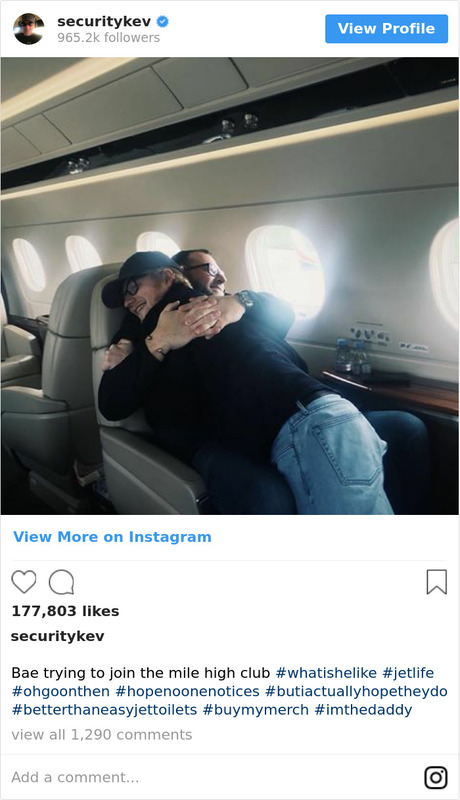 The singer said he won’t rest until the man who has his back, Kevin Myers reaches 1 million followers. 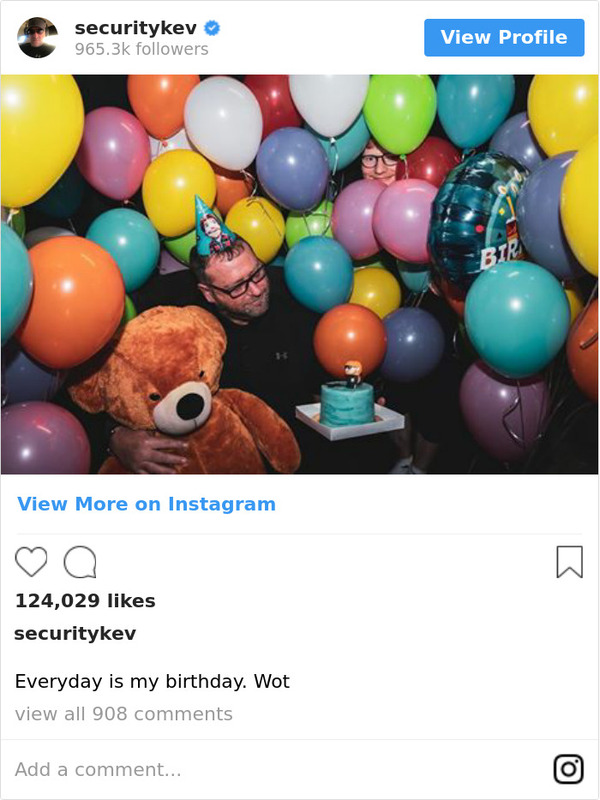 And he’s just 33.7K shy! 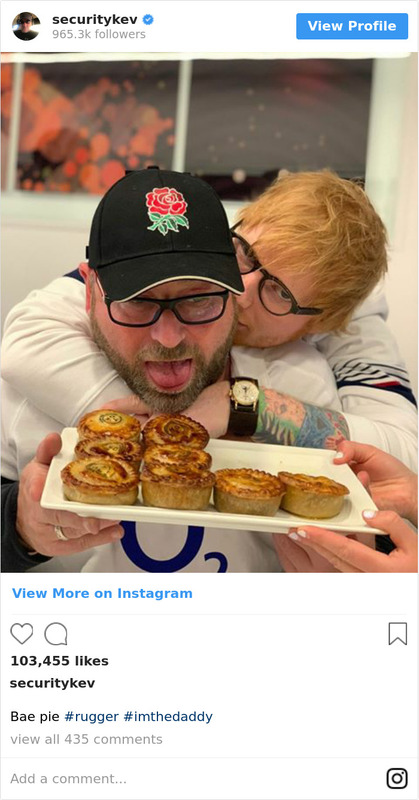 However, judging by his feed, it’s clear that people are subscribing to his content not just because Ed told them to. 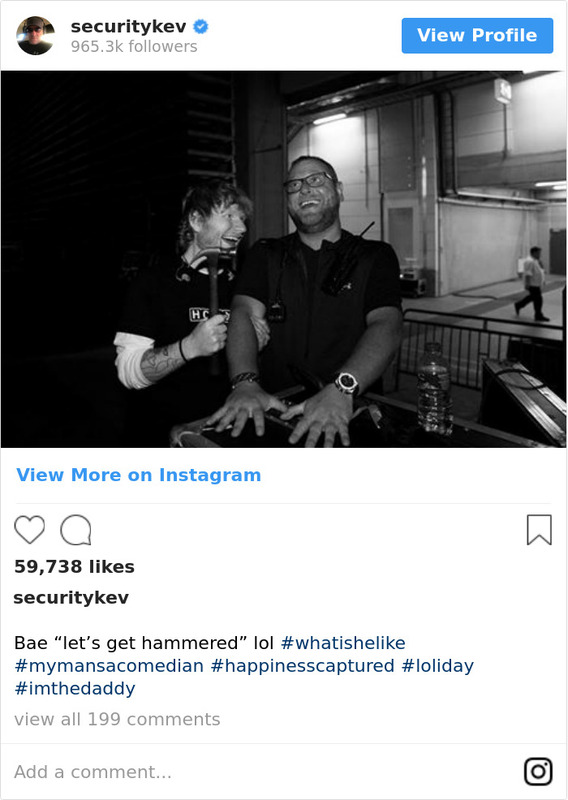 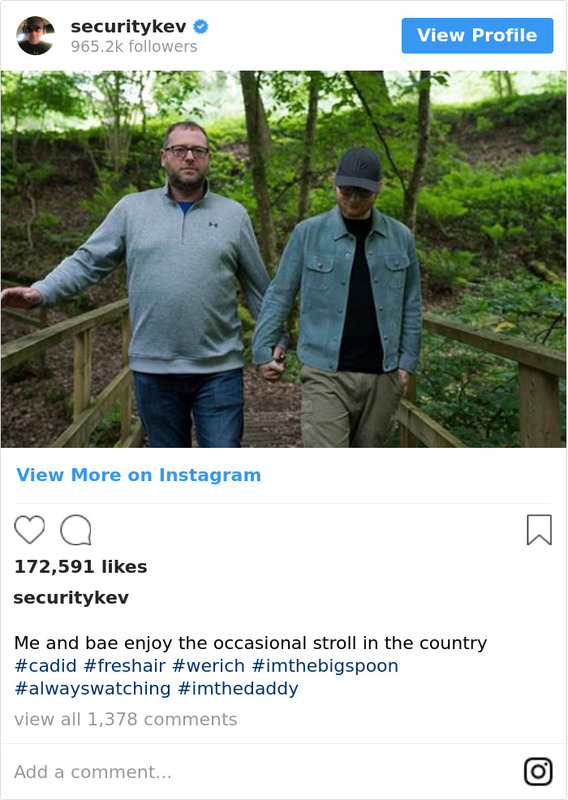 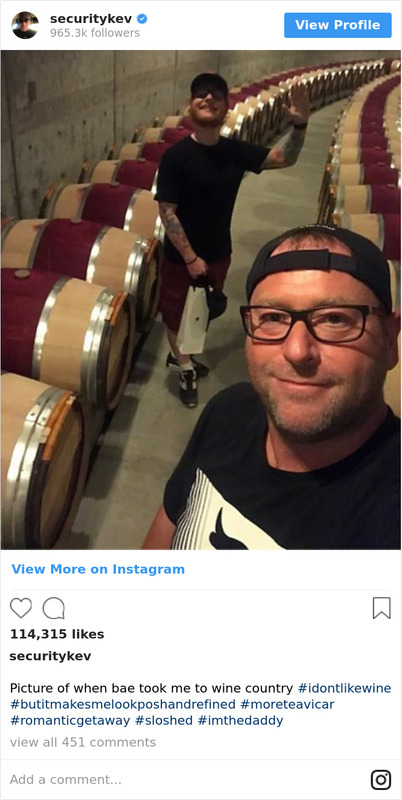 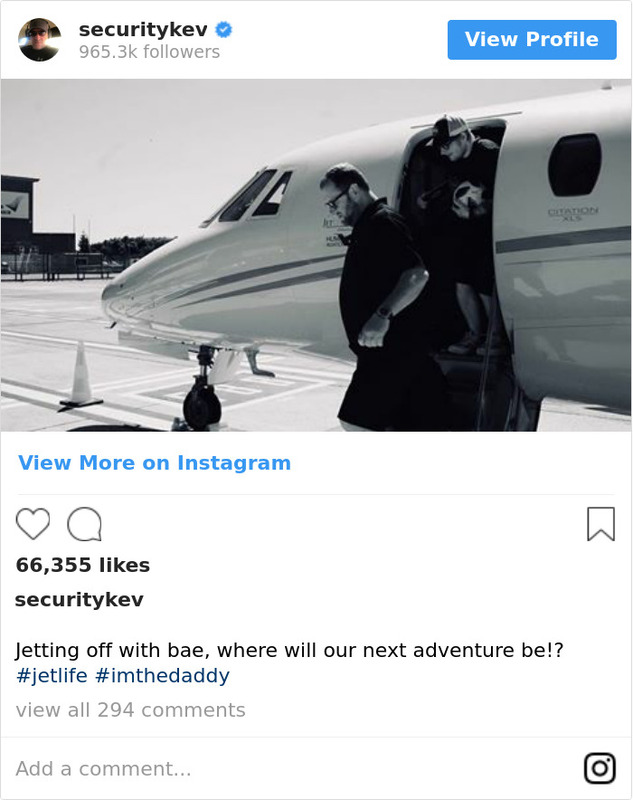 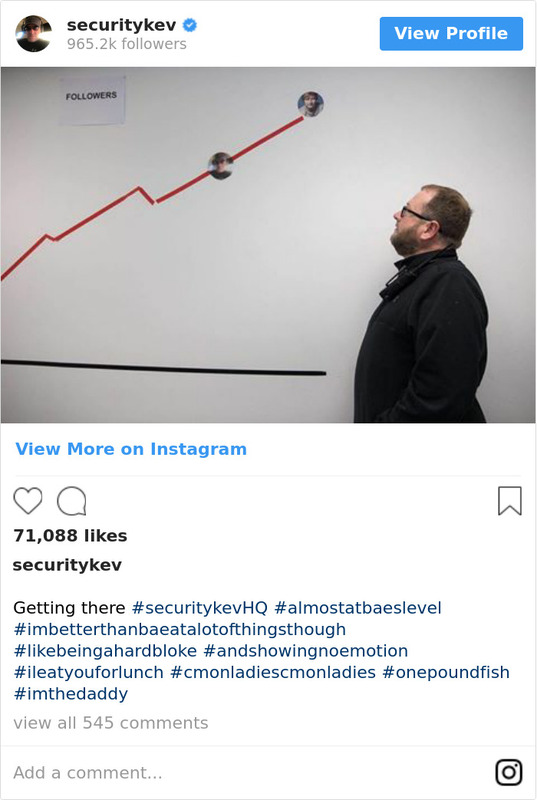 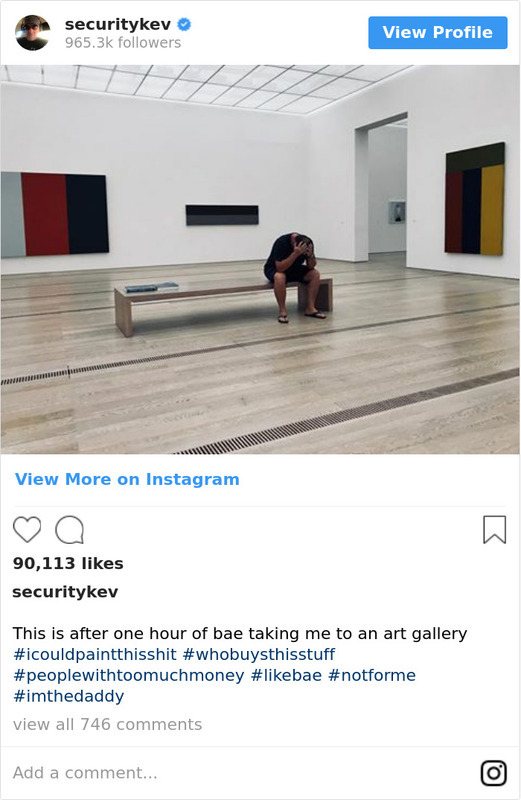 With his funny photos and witty captions, Kevin is on top of the Instagram game.